Unlike some board games, players do not compete for their own individual goals; instead, everyone has one common goal that everyone works to achieve. Also, each player is a specific Adventurer, and possesses unique abilities that other players lack. For example, the Pilot—and only the Pilot—can “fly” around to any game tile once per turn; the Messenger—and only the Messenger—can give Treasure Cards to other players. Other roles include: Engineer, Explorer, Diver, and Navigator. Forbidden Island has spawned two sequels: Forbidden Desert and the newly published Forbidden Sky. I recently spoke to the game’s creator, Matt Leacock. In addition to the Forbidden series, Leacock designed Pandemic, a popular—and difficult—cooperative game about stemming global disease outbreaks. Leacock also co-designed several Pandemic sequels, including Pandemic Legacy Seasons 1 and 2, both considered by some to be the best board games of all time! Cooperative board games actually quite rather competitive in nature, but instead of playing against other players, the goal is to work together, bringing everyone’s unique abilities, all to achieve a seemingly just out of reach goal. Leacock borrows the narrative device of “beat analysis,” where he “modulates hope and fear, anxiety and tension and release,” as he structures and escalates emotion. “The story is a byproduct of the action of the players,” he explained. “Players have agency how they move around, decisions they made, and the side effect is this experience you’ve share, that you concocted.” It’s not the game is telling you the story, like a movie with a lot of exposition. In a game, you experience the story. 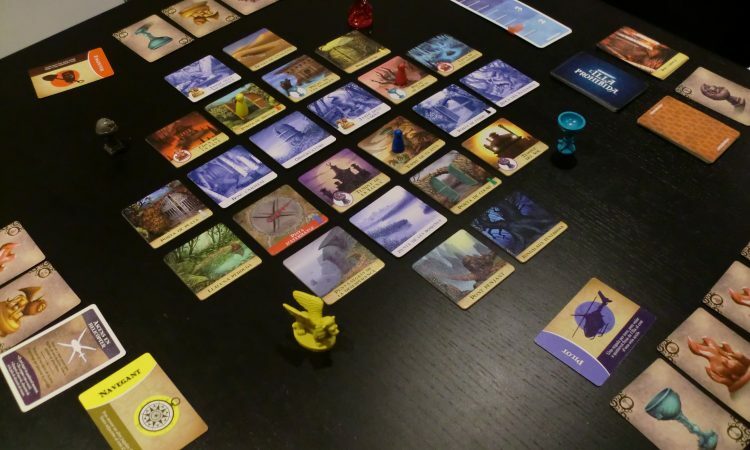 Many of Leacock’s games have dangerous and scary protagonists such as threats of disease outbreaks (Pandemic), drowning (Forbidden Island), or the danger of being buried alive in sand (Forbidden Desert). “But you are in a safe environment when you play,” Leacock acknowledged. Leacock also refuses to water down the difficulty level of his games. After all, is a kid loses, so does everyone else at the table! “People think ‘kids’ game,’ and they think ‘easy.’ But kids will really surprise you with their resourcefulness,” he explained. After all players win—or lose—families can talk about shared experience that merges afterwards, which can also encourage growth mindset from players. “They’ll just want to play it again,” he laughed. For younger kids, Leacock designed Mole Rats in Space, a cooperative game for ages 7-12. The complexity of play is a bit simpler than the Forbidden or Pandemic series of games. It is sort of Chutes and Ladders on a mandala-shaped board. Here, there are no defined roles—except playing as a mole rat on a spaceship(!). The social constructs of cooperative game play can teach self-regulation of behavior to young children, as children adjust their behavior to compensate for others around the game board. The systems of cooperative game play create a safe-to-fail environment, where players take risks together, and collectively experience consequences: both good and bad. In cooperative games, players jointly interpret the rulesets, too. “If they interpret a rule wrong, they do so together, so it can be less of a problem,” Leacock said. After all, who hasn’t played Monopoly “wrong,” or used house rules! If everyone is on the same team, then misinterpreting a rule isn’t a big deal. Collaborative problem solving is a real-world skill important in professions. Further, cooperative games happen to embed the 4 C’s of 21st century learning—critical thinking, communication, collaboration, and creativity—into meaningful play. “Kids learn how to communicate, cooperate, contribute ideas, strategize, challenge, and question,” Leacock said. “It’s the perfect theater or environment for shaping those types of skills.” For more on the 4 C’s, check out this video from Common Sense Education. 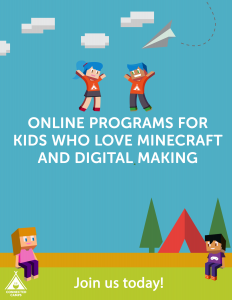 Previous Post:Join Our Free Kid Club Minecraft Server!